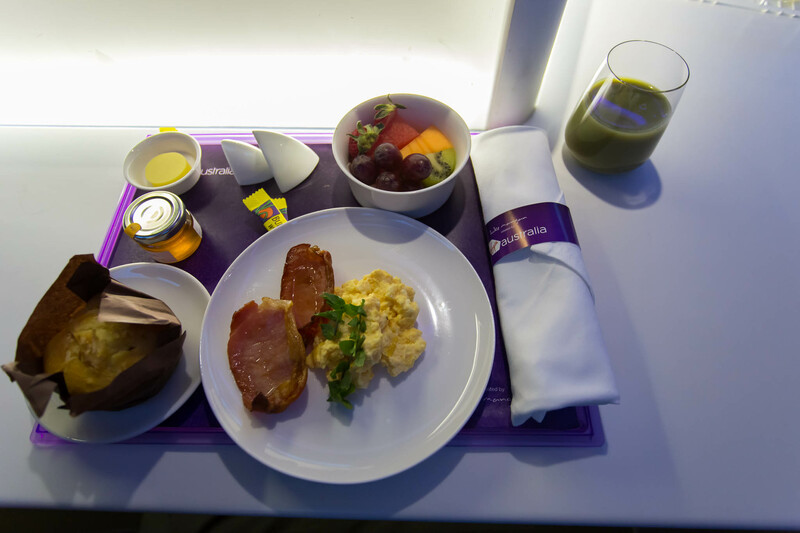 About 2 months ago I received an email from the king of miles Randy Petersen inviting me to attend ‘BACON’ for those that don’t know it’s a gathering of bloggers mostly from BoardingArea and some other various blogs. As soon as I saw the email I knew I would definitely love to attend. 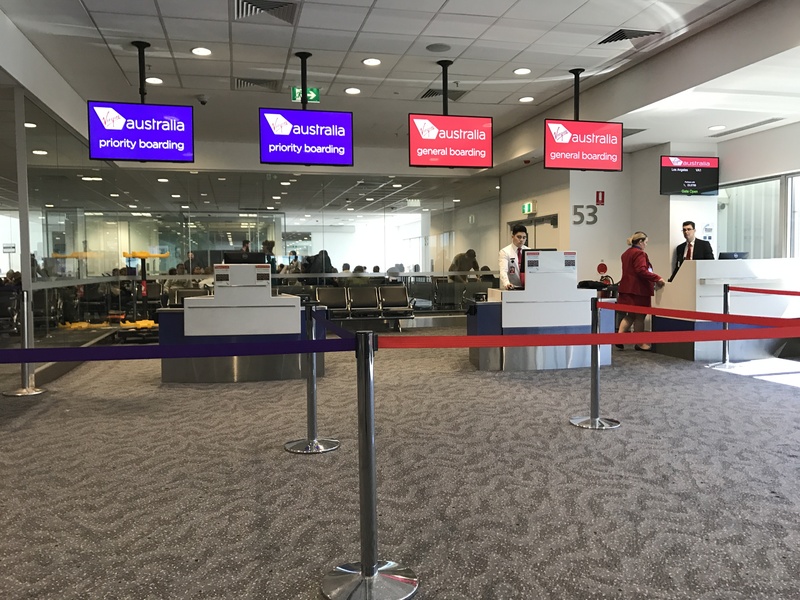 As I started to look for flights I had a look on Virgin Australia’s website and found business class availability for the day I wanted to leave, Excellent! this surprised me as I booked about a month out and space is usually released 10-2 days before departure. The booking proccess was quick and easy using 95,000 Velocity miles and was booked on the website. 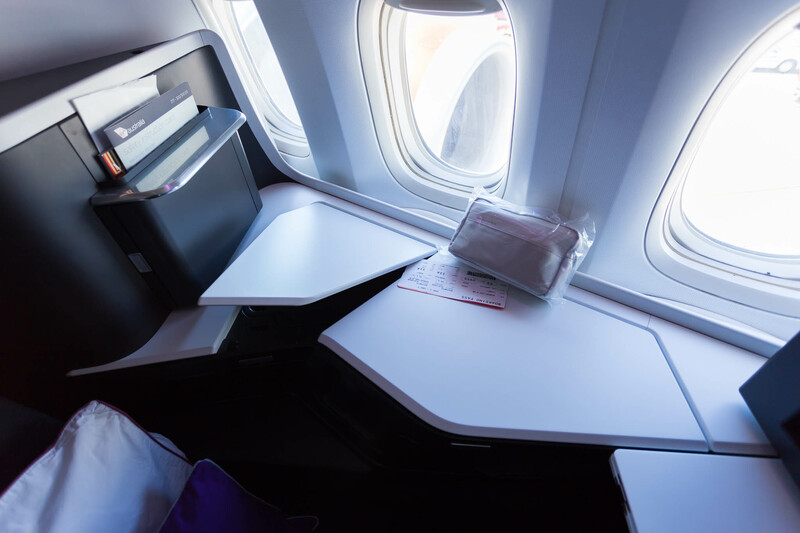 Virgin Australia used to have seats in a 2-3-2 config but those days are now gone. 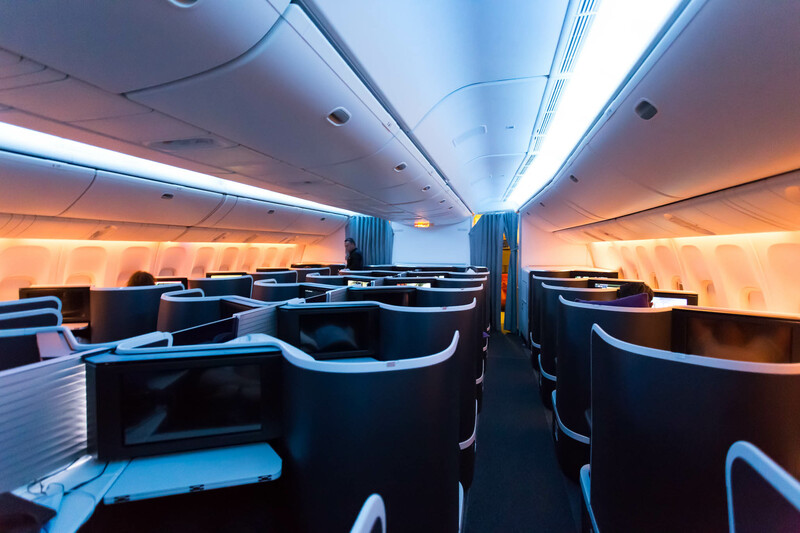 The airline recently fitted out their 777 and A330 aircraft with brilliant new B/E Diamond Seating in a 1-2-1 config with a total of 33 seats which looks stunning! 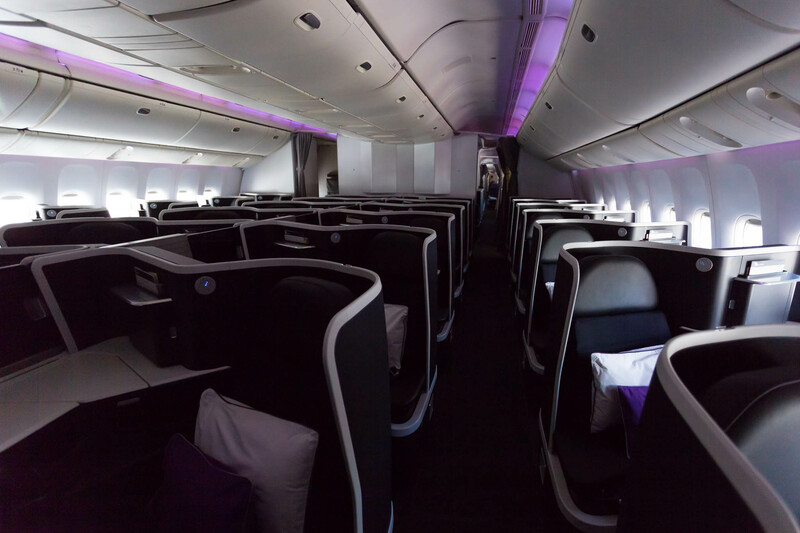 I have flown the A330 many times but this was my first time with the new seats on the 777. 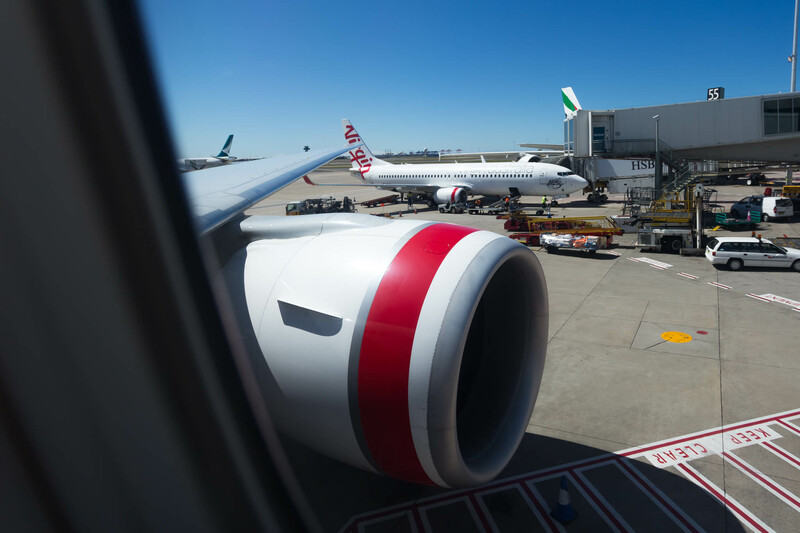 Virgin operate their 777’s from Sydney, Brisbane and soon Melbourne to Los Angeles and currently Sydney to Abu Dhabi which will be stopping quite soon. 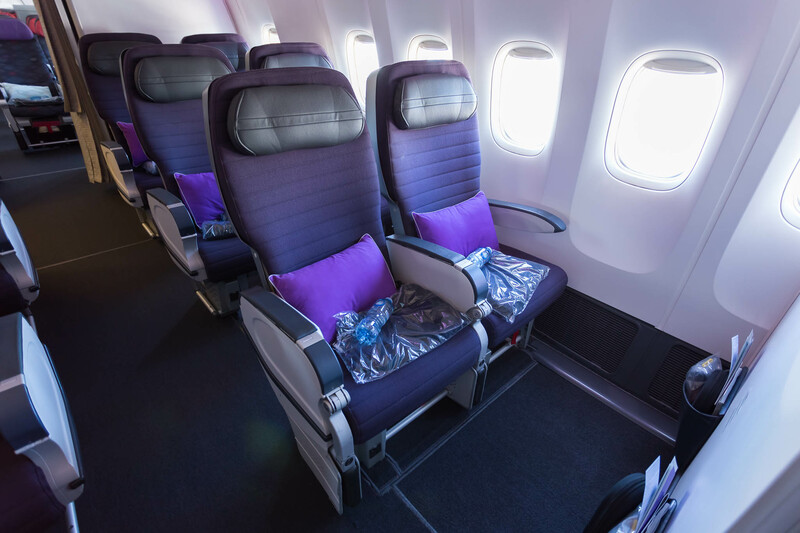 Every seat has direct aisle access and the seat reclines to 80 inches (203cm’s) long. 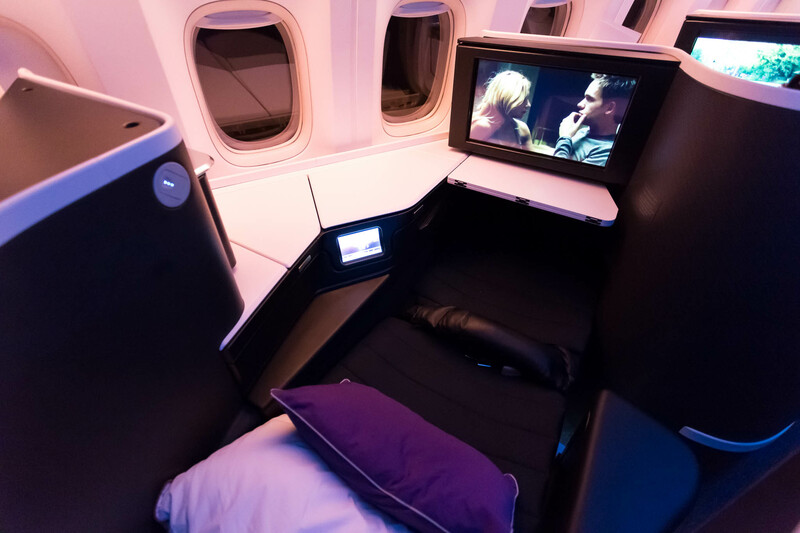 Virgin also reconfigured and upgraded their bar and premium economy product. 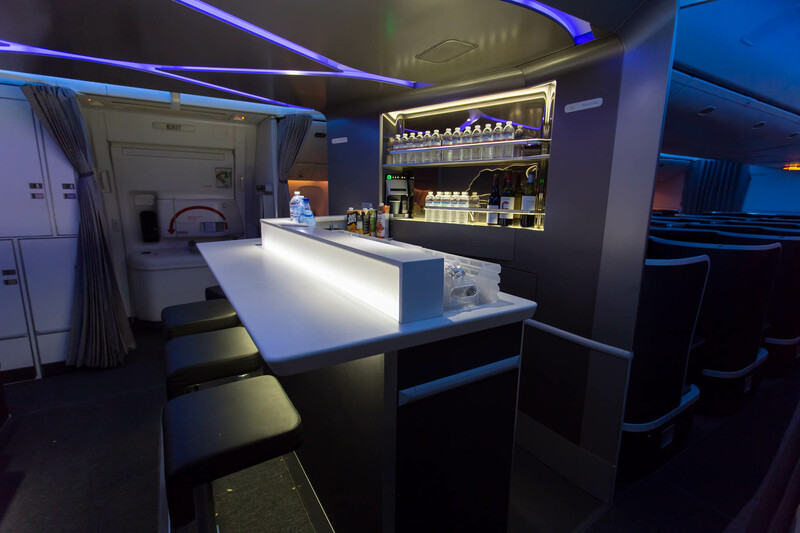 The new bar has a lot more room and added seating which got utilised most of the flight. 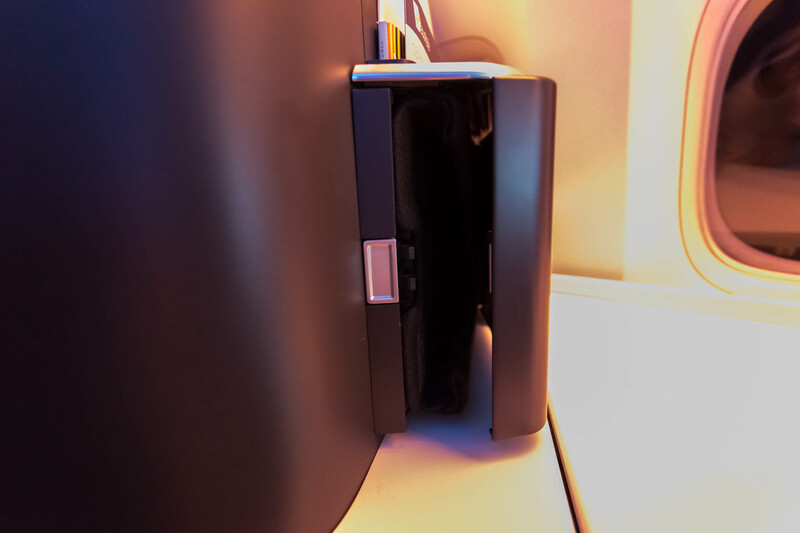 The bar also holds the airlines new nespresso machines which produce brilliant coffee (by airline standards). 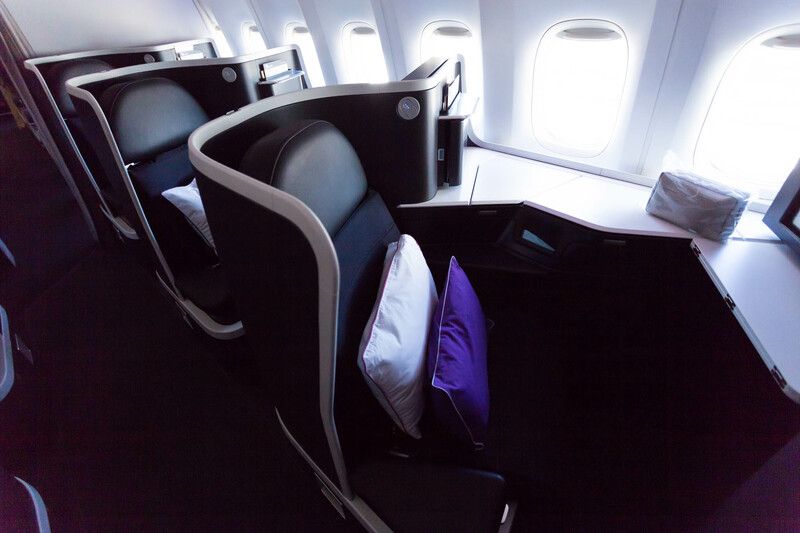 Virgin’s new premium economy product now has 24 seats instead of the previous 40 which is quite a large decrease. 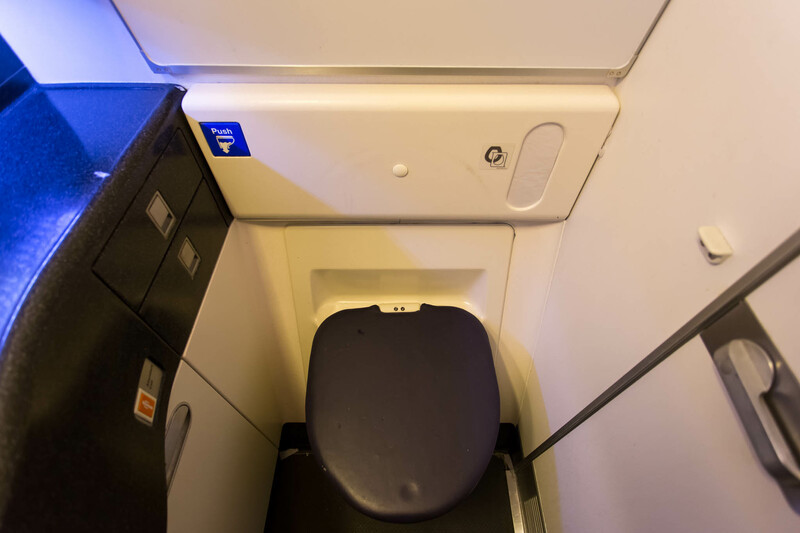 The new seats boast a 41’’ seat pitch which is 3 inches more than previous seats and they have also added a self serve pantry. 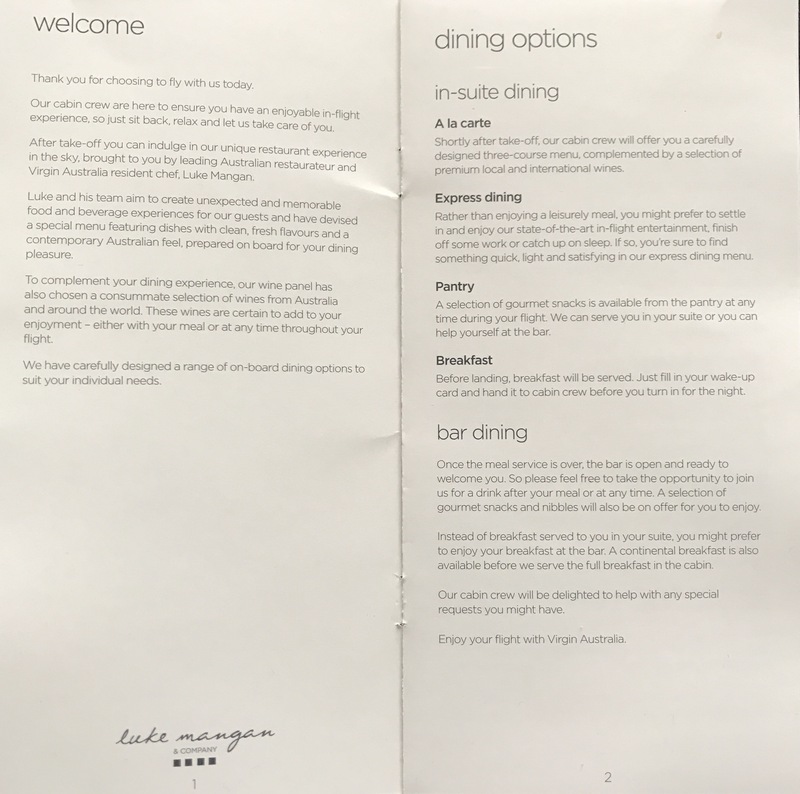 Interestingly Virgin want premium to feel very similar to business class as passengers in premium can use the same Nespresso machines, have business class trained crew, and a plated meal instead of trays which is impressive. 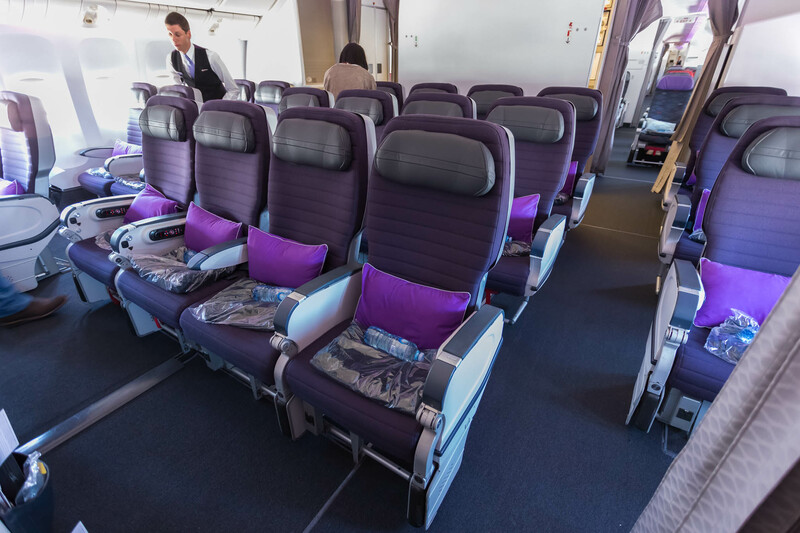 All the seats have new seat covers and are quite comfortable, definitely a good way to travel if not in business class. On my flight I booked quite late so the only window seat I could select was 11A which is the last row of business class. 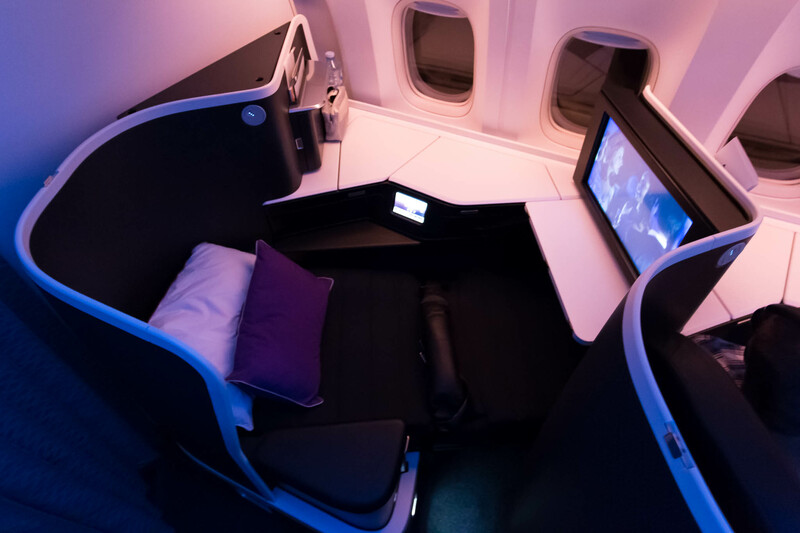 I had heard it can be a bad seat for sleeping as premium is directly behind but I found it to be wonderfull and didn’t have any disturbances throughout the flight. 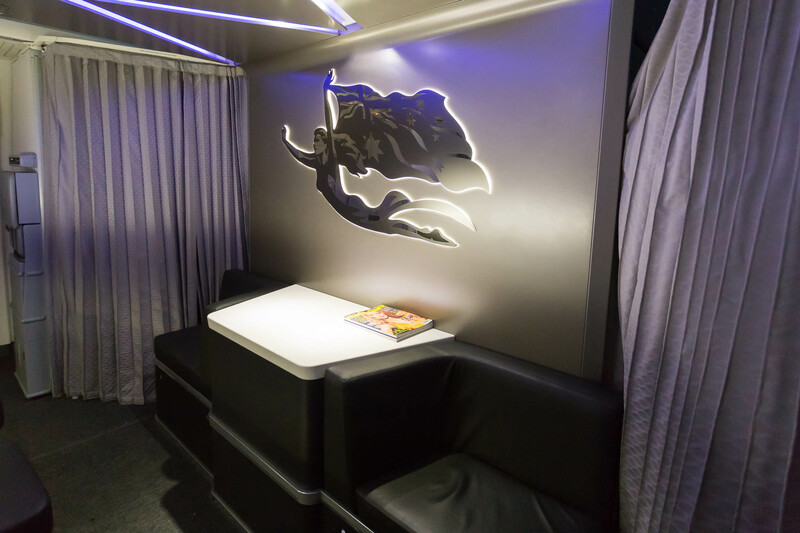 The cabin is split into 2 and is very private past the bar in the second cabin. 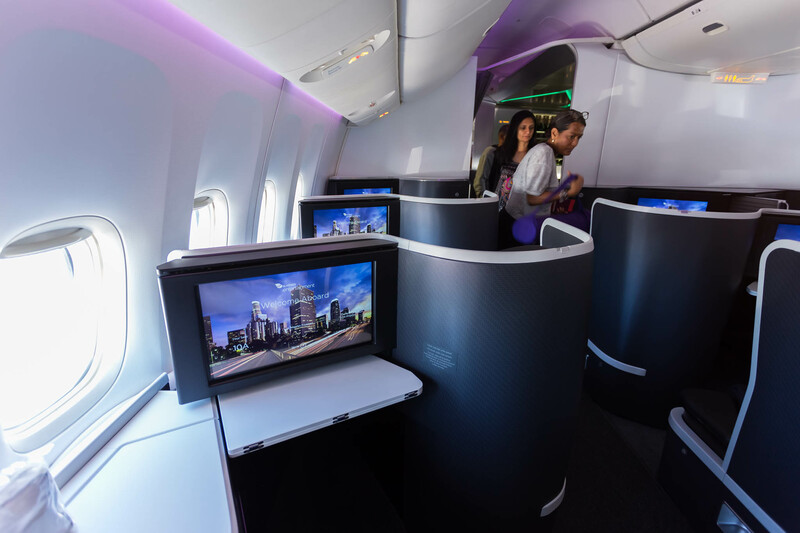 The new seats house a 18 inch IFE screen with up to 300 hours of entertainment. I found the screen very responsive and fast and the best thing is it has no adds. 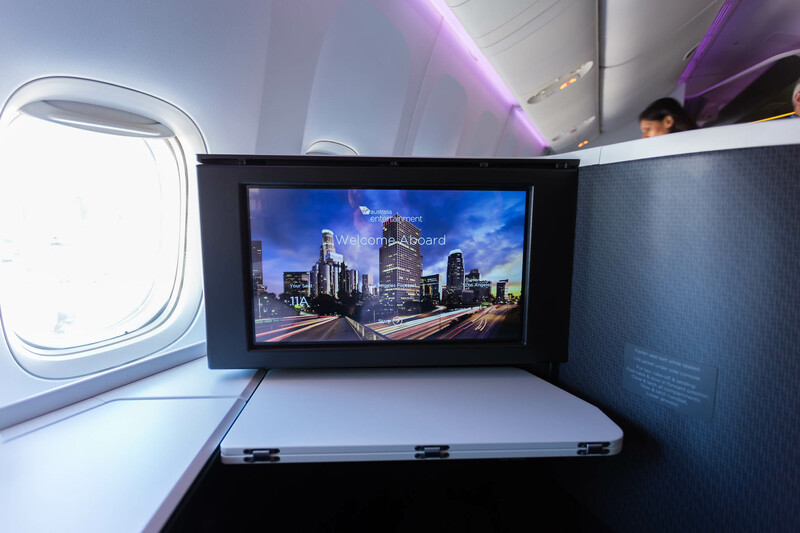 The screens can be easily viewed easily when lying flat which I find to be a challenge on some airlines. 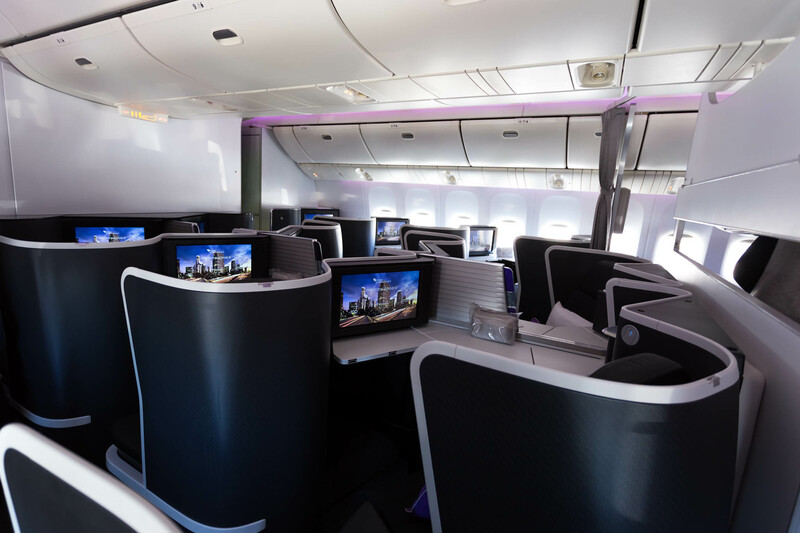 Each seat has 2 storage compartments which are big enough to fit phones, wallets, headphones and passports. 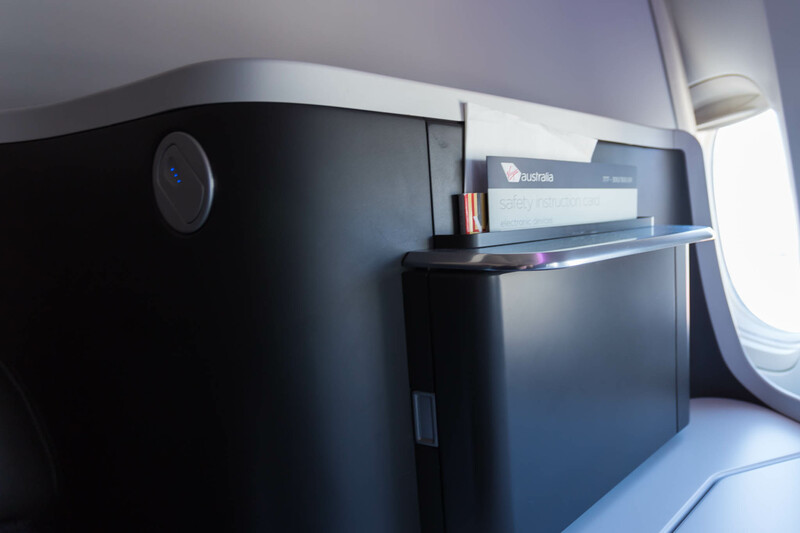 They also store the USB and In-seat power and headphone port. Not a bad view for 13 hours. 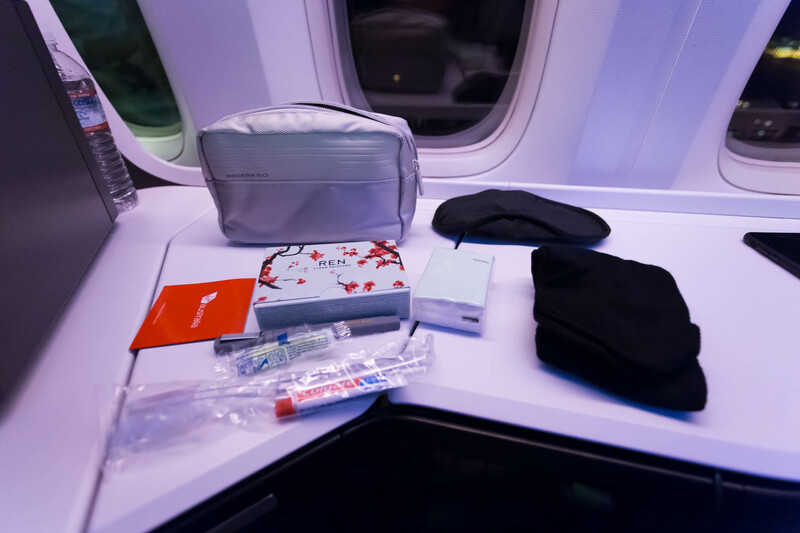 Also waiting at the seat is the Amenity kit and Pyjamas. 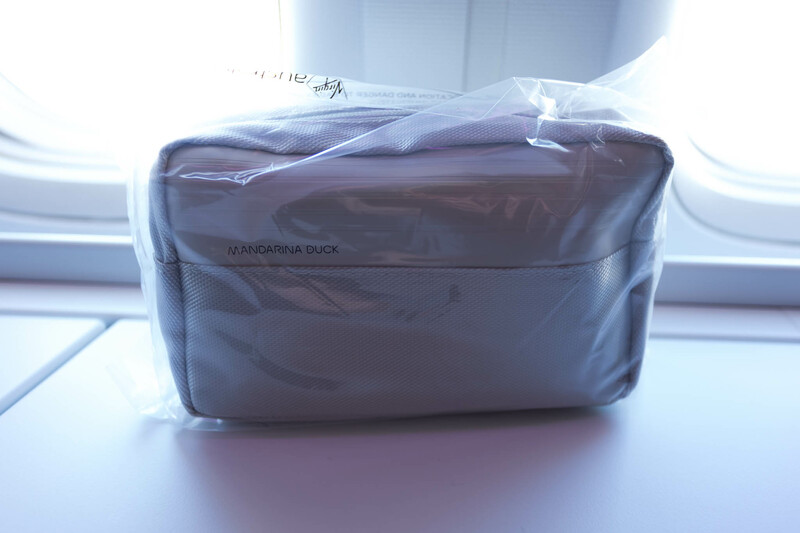 The amenity kit is a calibration with Mandarina Duck and REN skin products. The pyjamas are from Julie Grbac which are good but I’ve definitely worn better ones. 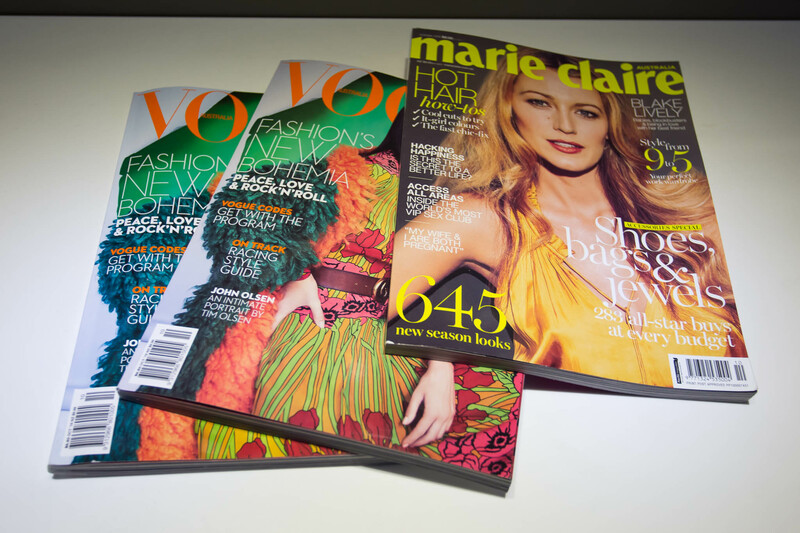 The seat also holds a space for their magazines and safety card and also a unique space to store a tablet which is quite nice. 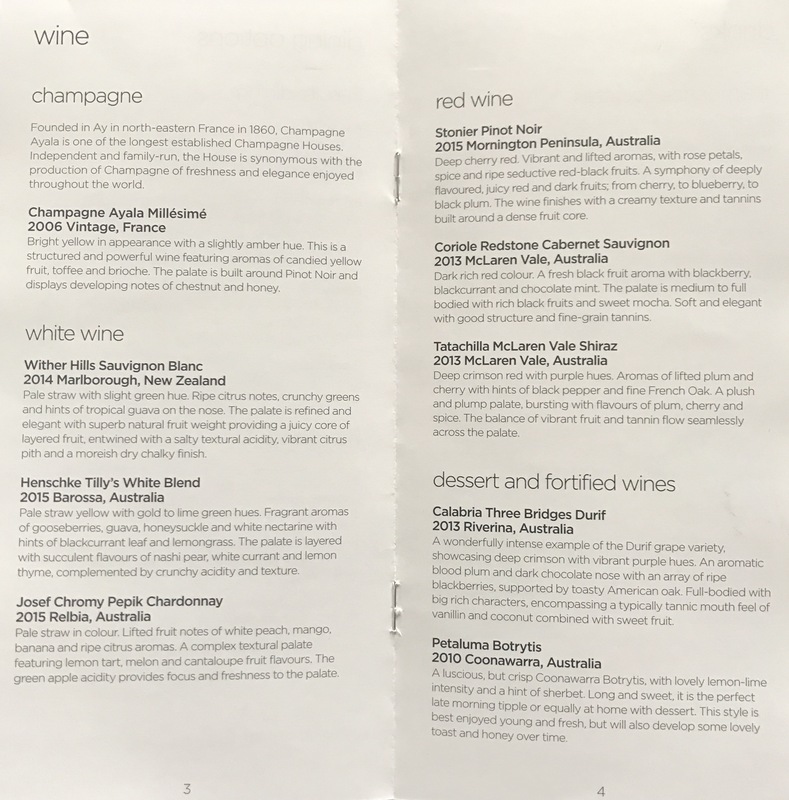 As I settled in flight attendants Darren and Jeremy came around to introduce themselves and hand out the menus and offer a pre-takeoff beverage. I just had water. 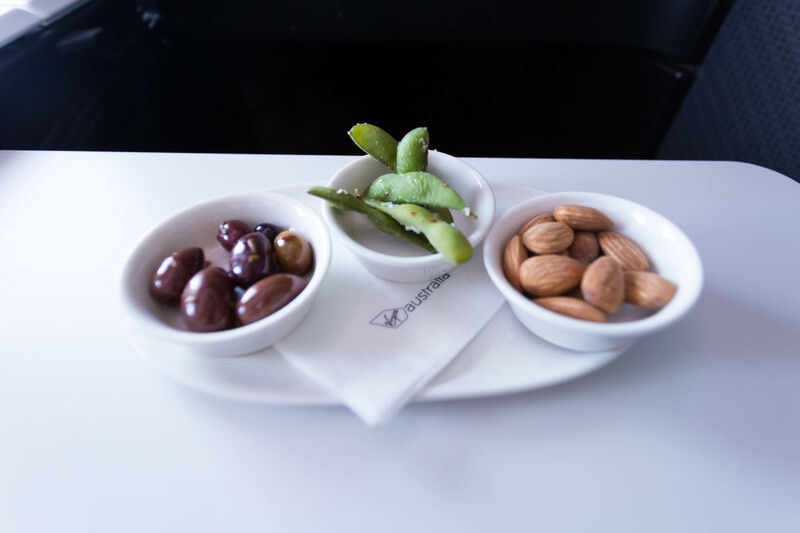 As the meal service started the mood light started to go purple and brought out some ramekins with olives, almonds and snow peas. 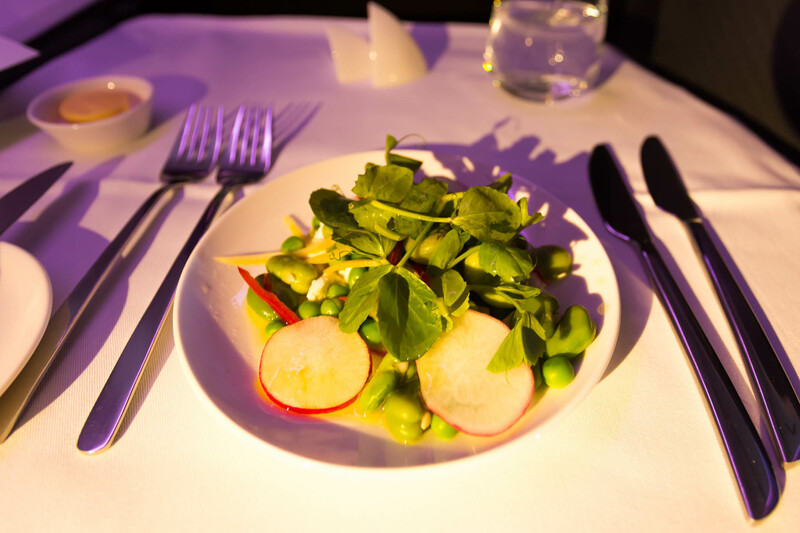 To start I had the salad which tasted great and was nice and fresh. 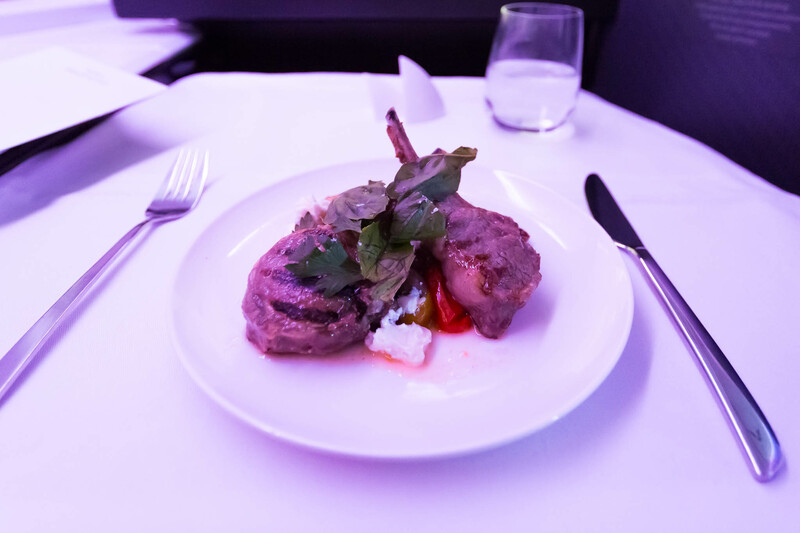 For the main I had the lamb which was cooked brilliantly, they were tender and full of flavour. After dinner I went for a walk and look at the bar and bathrooms. You’ll notice the bar is stocked with water but these photos were taken in the morning. During the day and night they are stocked with alcohol and has someone behind there. 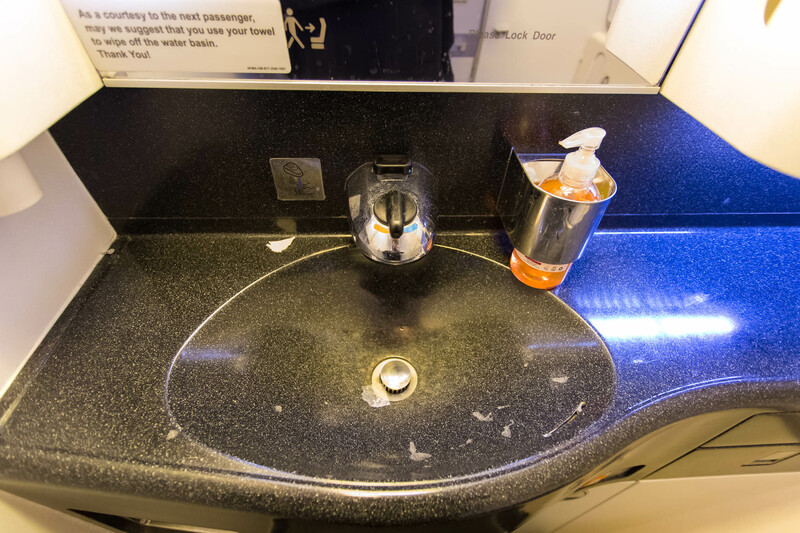 If there isn’t anyone at the bar and you want a drink there is a button at the right hand side that will alert a crew member and they will attend to you. 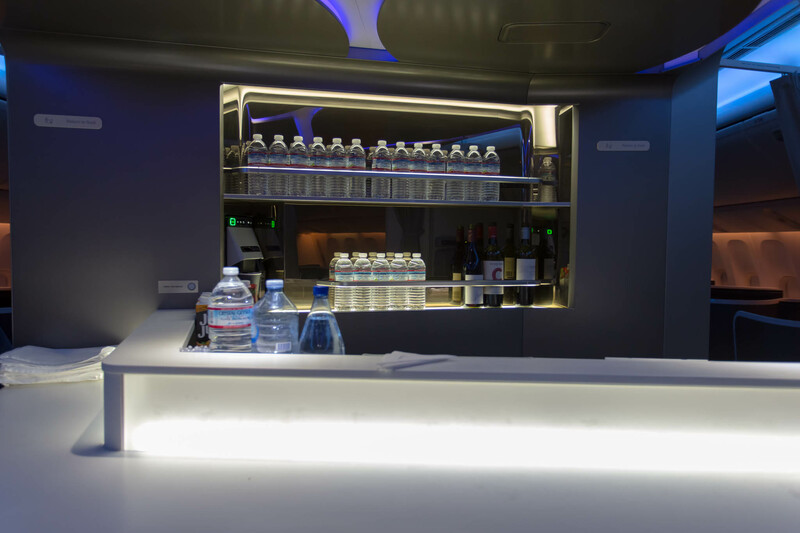 The bar has a modern look and feel which fits the cabin look very well. 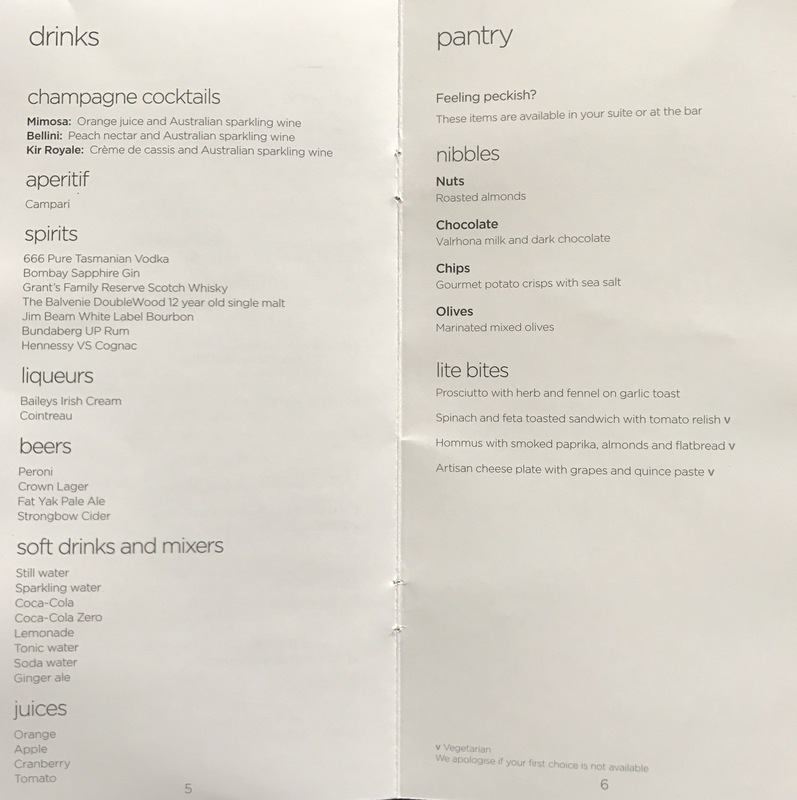 Funnily enough the bar is the width of two middle business class seats which seems quite small but when you at the bar it feels big. 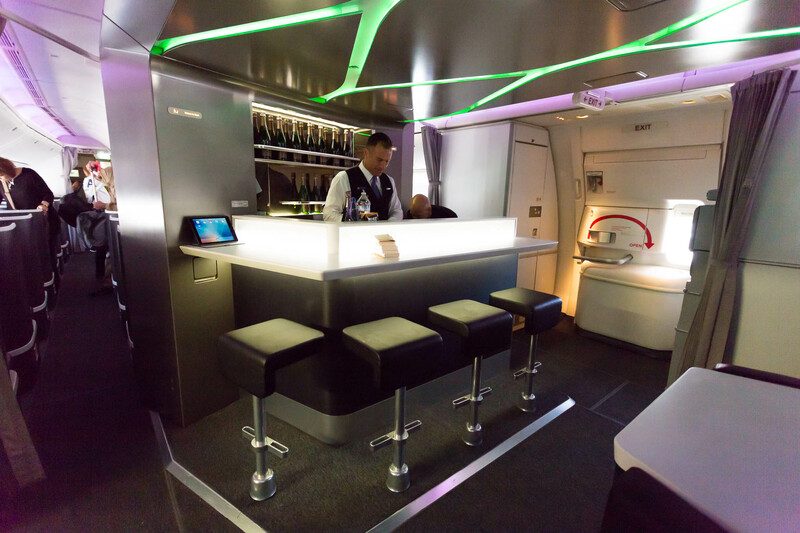 Virgin have also made space for 2 seating spaces at the back of the bar which are comfortable. 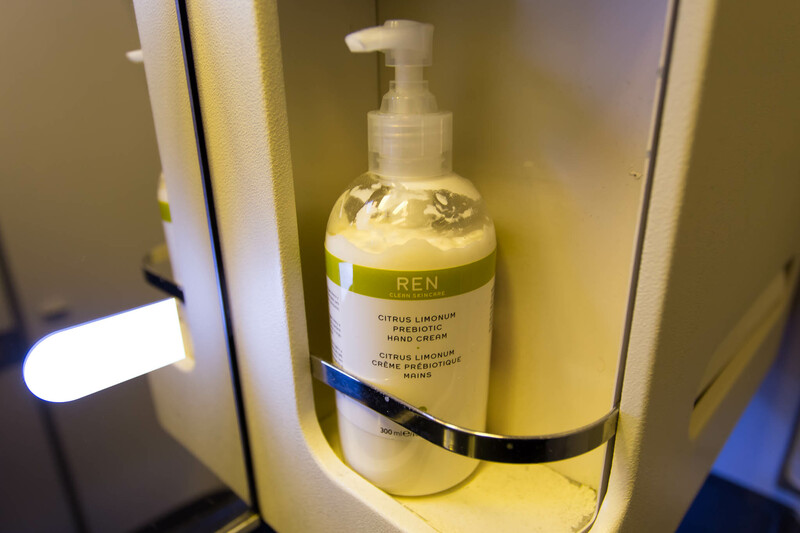 The bathrooms were always clean and also house more REN products. After having dinner I decided to get some sleep. The crew put a matress topper on the seat but I didn’t get a photo of it. The topper is very comfortable and I managed to get around 6 hours of deep sleep which I was happy with. After waking up I went and had a chat with Darren and Jerremy who were working the bar. They served breakfast to me at the bar which was great. 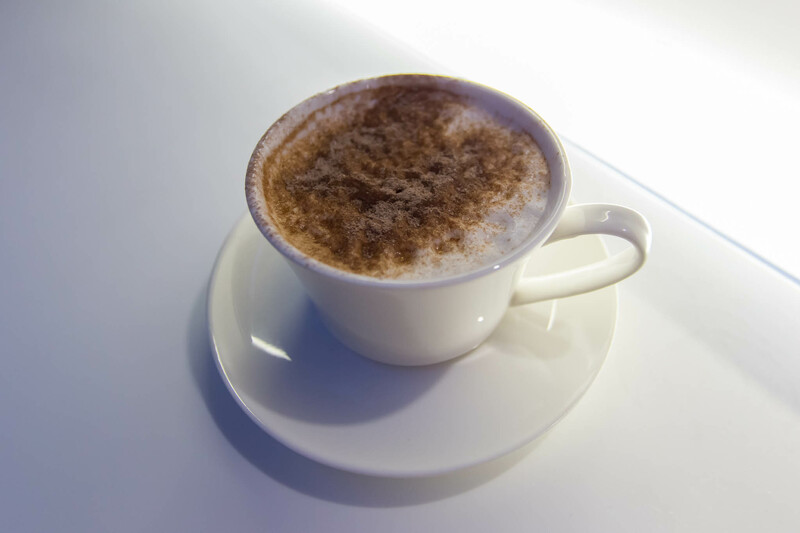 I also decided to have a cappuccino to trial their new nespresso machine and I loved it so had two of them. 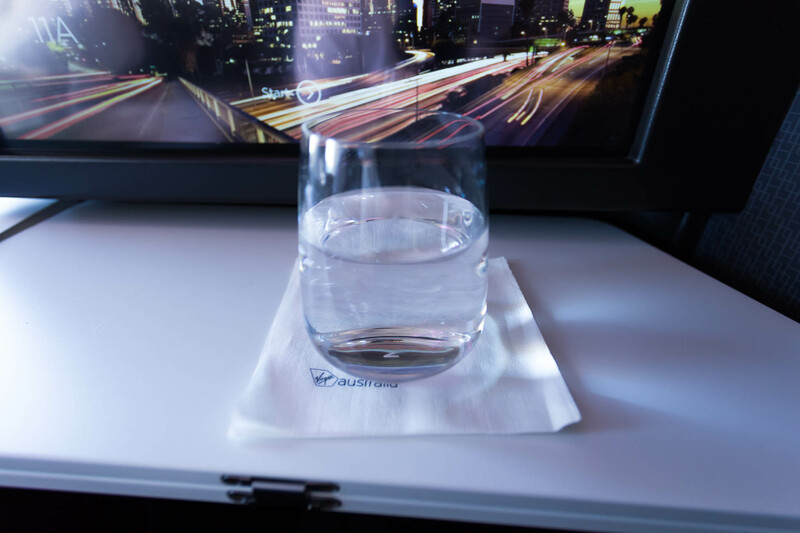 As we got closer to Los Angeles the mood lighting got brighter and more people started to wake up. It doesn’t look it but business class was almost completely full. 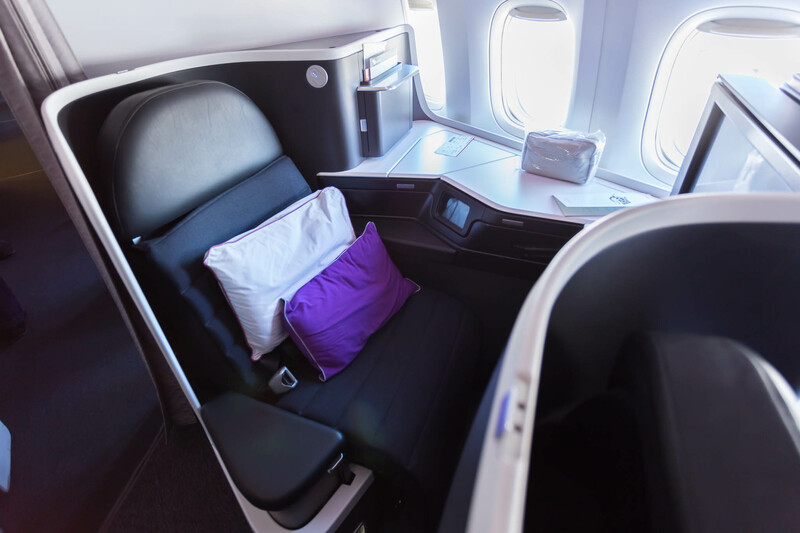 I’am a huge fan of the B/E Super Diamond seats and this flight proved how good they are. 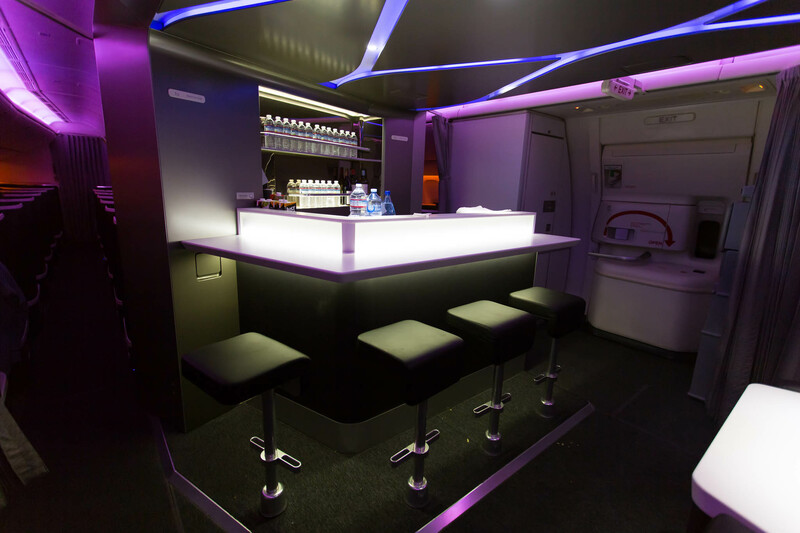 The crew were absolultelty brilliant and I think Virgin did and awesome job on the refit. Would love to fly the new PE again as it was fantastic earlier this year. 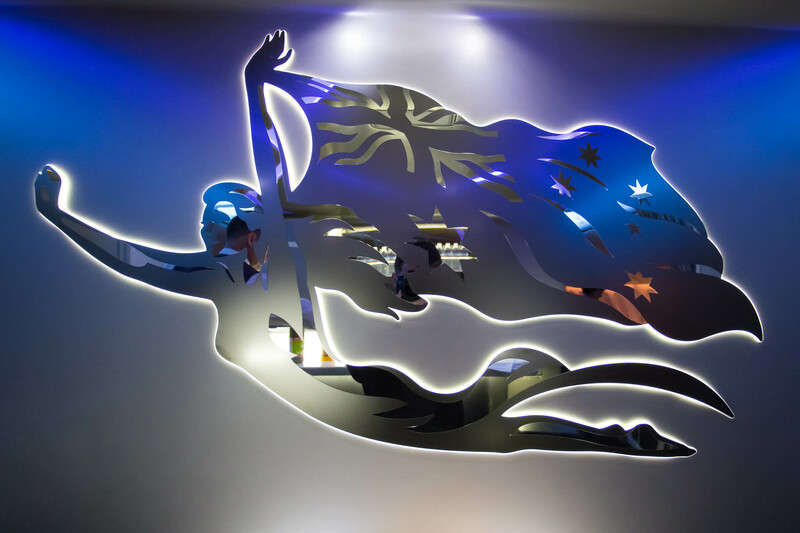 And certainly, J Class with VA is and has always been an excellent experience.